"I would like to thank the amazing team at Restorative and Implant Dentistry of Bayside. They are professional, accommodating and take every effort to make your dental experience as comfortable as possible." "Dear Restorative and Implant Dentistry of Bayside, I wanted to mail you this photo sooner, but the opportunity always seems to pass. I am writing to let you know that I absolutely adore my new smile. I have received more compliments now with my new bright smile than ever before. With each passing day, I grow more confident and feel better about myself. Thank you for providing me with such great satisfaction, that only a doctor with love for his work can do." "The Best aesthetic Dentist and Staff. Thank you for my phenomenal smile. My smile says it all." "Miracle accomplished…Overcoming my biggest fear and receiving a million-dollar smile. Restorative and Implant Dentistry of Bayside and its staff took care of my very difficult stained teeth case with meticulous attention and technique to give me a smile that I could only dream about. I am forever grateful." As a patient of yours for the past nine years, I have always appreciated your dedication in the matters of my dental health. Your advice and long-term plan on how to approach and correct the problems that have developed over the course of time have always been sound and logical. Your decisions have always been with the best interest of your patients in mind. Choosing to use the best method for long-term results rather than a quick fix has always been your recommendation. When it was recently diagnosed that it was necessary to remove one of my front teeth, your work in reconstructing the entire upper front portion of my teeth was nothing short of remarkable. Use of the latest technology in dental procedures, your attention to detail, as well as your aesthetic skills, is commendable. I am able to show off my picture perfect smile broadly and with confidence. All of my family and close friends were amazed at how nice my smile looked. As for myself, I cannot believe the significant and wonderful change every time I brush my teeth. You are the Michelangelo of mandibles, the Da Vinci of dentistry; Mona Lisa has nothing over my smile. I thank you for all that you have done for me." "My new smile was definitely a life-changing experience. Not only am I not afraid to smile and show my teeth now, my new smile has also given me more self-confidence. Having my teeth fixed by Restorative and Implant Dentistry of Bayside was one of the best decisions I have ever made"
"The best aesthetic Dentist and Staff"
Thank you for my phenomenal smile & the beautiful flowers. My Smile says it all." "Torture and Pain. These are the words I used to associate with dentists. Dentists were my least favorite group of people in the entire world. Nightmares would invade my sleep, my stomach would do flip-flops, and my hands would get sweaty. I would enter the dreaded "chair" knowing that the next hour would be anything but pleasant and waiting for the hell to begin. But I’m getting ahead of myself. So, let me back-track a bit. You see, I wasn’t born with naturally perfect teeth. I’ve endured braces, mouth guards, and pretty much everything that goes along with perfecting one’s smile. These visits, while not exactly pleasant, were anything but torture. The agony began much later in my life. It happened three years ago when my new dentist advised me to fix some work that I had done when I was a kid. Under his guidance, I permitted him to replace my old veneers with new ones. Unfortunately, he lied to me about his qualifications about performing this procedure. When I did realize this, it was too late and the damage had already been done. His promises of a perfect smile soon turned into apologies for his shoddy work. Visit after visit, week after week, and month after month he and his colleague tried to repair their mistakes. All that resulted was more damage, and for me: Torture and Pain. One day I saw the light. I decided to leave and never turn back and that’s just what I did. I made some phone calls and with the recommendation of a friend made an appointment with Restorative and Implant Dentistry of Bayside. Light and Hope. I say the name Restorative and Implant Dentistry of Bayside and these words come to mind. This is what I feel every time I walk into the office, my first visit included. 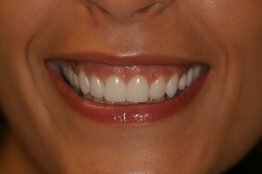 Like an angel sent from "tooth heaven" Restorative and Implant Dentistry of Bayside and its staff entered my life. Each person in this wonderful place shares a small place in my heart as well as my mothers’. There’s Andrea who welcomes each patient and lends a friendly ear, Jennifer who can gently work your pain away with her "magical hands" and Ria who will honestly give you the best cleaning of your life. Restorative and Implant Dentistry of Bayside took teeth that had been destroyed and made them not only functional, but beautiful. But it’s more than that. 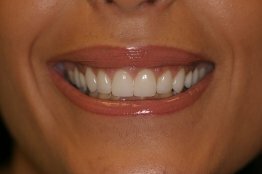 Restorative and Implant Dentistry of Bayside gave me hope that the work would be fixed. They followed through with their promises. They made me feel at ease. They answered my crazy phone calls at inconvenient hours. They listen. I am eternally grateful to Restorative and Implant Dentistry of Bayside and its staff for helping me through a very difficult period in my life. Without their help, I may never have fully recovered from all of that torture and pain. Thank you thank you thank you,"